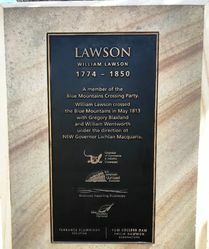 A bust of William Lawson commemorates the bicentenary of the crossing of the Blue Mountains. 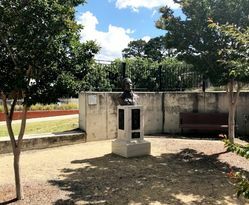 Commissioned by Businesses Supporting Bicentenary founding member, Tom Colless in early 2013 to mark the bicentenary of the first successful European crossing of the Blue Mountains, the artworks were installed by council in the towns named after them. In 1813, Gregory Blaxland, William Charles Wentworth, and Lieutenant Lawson, along with four servants, four pack horses and five dogs, set off on an exploration which was to create history. On the 11th May 1813 the explorers departed from Emu Plains reaching the foothills of the Blue Mountains, or Glenbrook as it is known today. 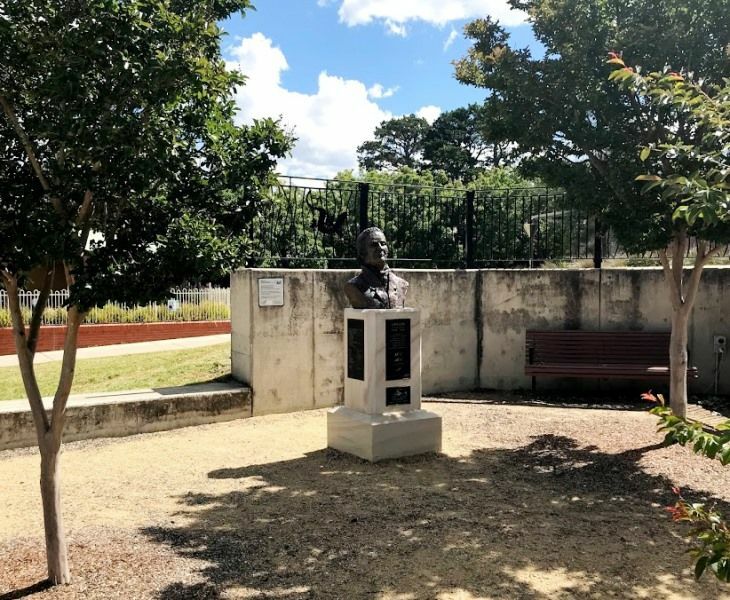 For Blaxland, Wentworth and Lawson, the trip across the Blue Mountains was a tremendous struggle. Having insufficient food for their journey, they recorded the trek required constant hacking through thick scrub and treading through "damp dew-laden undergrowth". They were also in fear of attack by Aborigines. These factors, in combination with sickness, nearly saw the men defeated by the rugged terrain. Eighteen days later, on the 29th May 1813, the Blue Mountains was no longer considered an impassible barrier following the discovery of the gently sloping mountains to the west. A member of the Blue Mountains Crossing Party.